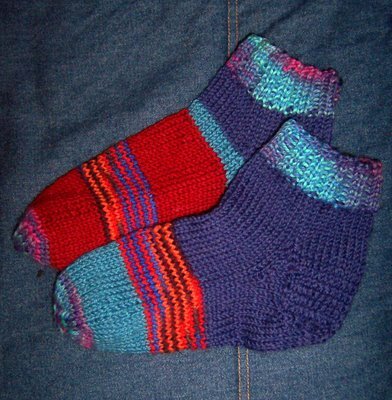 But I wasn't sure if you'd want the "odd socks", just thought I'd offer them today, hehehe! oh these are gorgeous! Imagine a little bubba with a matching hat, longies and socks!!! Now you need to do a cardi to go with it to complete the set! Oh Sif you are so clever!! 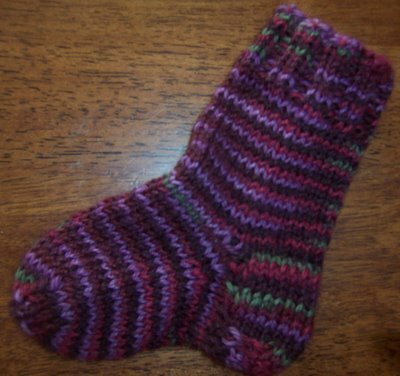 I am hoping to knit up some slippers while I'm away next week, and have a go at felted moccasins as well, but really I'm not that flash with directions LOL. The odd socks look great!! Thank you so much!! :D About to blog about it!